Nothing shortens the dreary months of the dead of winter like dreaming about what you want to do once the cold and grey have passed. It's a time to dream, a time where everything is possible, and a time when you convince yourself that you have finally realized why that plant didn't survive in your garden, so it's a time to order it again! 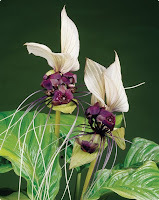 Last week's catalogues were Thompson & Morgan and Lindenberg Seeds. This week (so far) it's Vesseys Bulbs. I can only expect that Vesseys Seeds (at left) will come on its own at a later date. All photos in this posting are from the Vesseys catalogue online version. 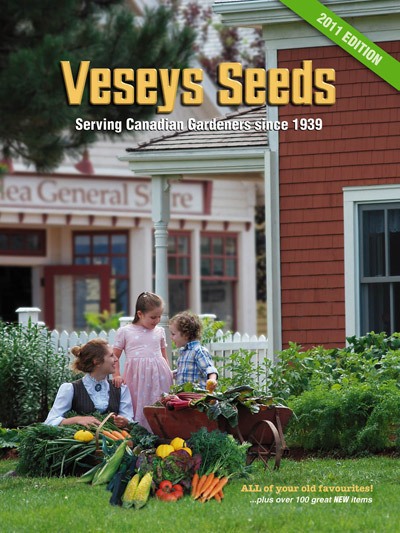 Vesseys, a Prince Edward Island based garden institution since 1939, is once again offering their dependable catalogue of annuals, perennials, tree, shrubs, etc., plus a little excitement in the way of new plants never before offered by them. 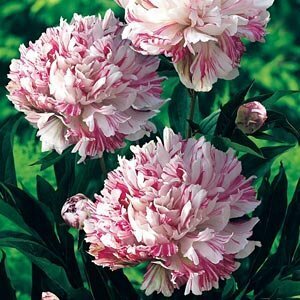 Of particular interest to me is the tree peony Kirinmaru, which has beautiful large blossoms striped red and white. We lost ours last year during our freeze-and-thaw winter. Tree peonies aren't the fastest of growing plants, but the reward is worth it. Blowsy 8" blooms, even on the smallest of plants, are exciting to watch grow and open. Just pray that there's no downpour of rain the day after it opens or your pleasure will be short lived. Besides the standards, Vesseys also carries some of the more trendy plants. The White Bat Flower is an unusual looking specimen that has to be lifted come the fall, like dahlias. Under the "heartbreakers" category, they have the Himalayan Blue Poppy. I have tried several times to get these elusive stunners to make an appearance in my garden, but to no avail. Probably best to admire them from the catalogue. I don't know anyone who has successfully kept them. One thing I did notice is that they're going to have to do better with their grape selection to impress me. Their varieties are not very spectacular. We currently have chardonnay and pinot noir growing, and will be looking for another equal variety, not a jelly grape (not that there's anything wrong with jelly grapes - they're just not my thing). I'm also attracted to the hardy Hibiscus Syriacus, but we have several attempting to become established already so I'd better wait to see what kind of success we have. If you're planting seeds, you should probably do a little less dreaming and a little more acting. A rule of thumb is to start any seedling you want to plant 8 weeks before the last frost. For us, that's usually the first week of May so if one tracks back that means your seeds need to be started the first of March. Remember to harden any seedlings off by slowly exposing them to the cooler daytime temperatures (or in a cold frame) before setting out in position. I imagine there will be another post all about starting plants from seed at a later date. In the meantime, to quote Carl Sandberg: "Nothing happens unless first we dream."